It hit Beira, an Indian Ocean port city of a half-million people, late Thursday and then moved inland to Zimbabwe and Malawi with strong winds and heavy rain. 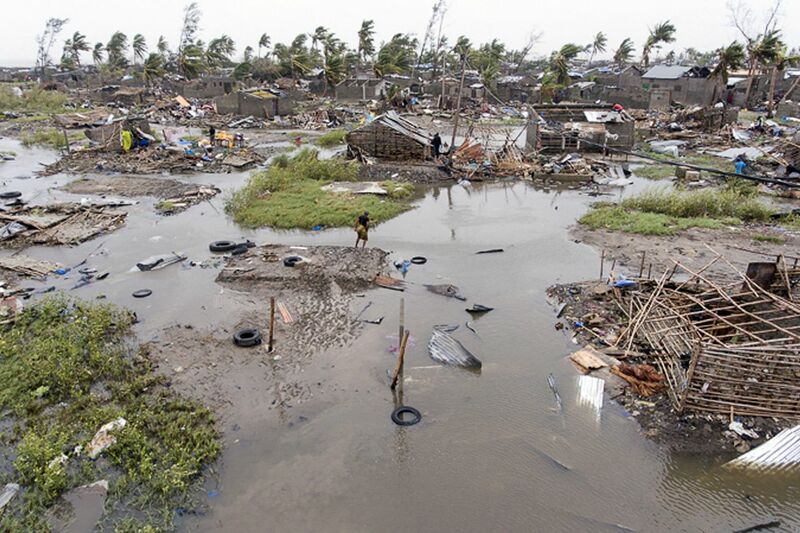 But it took days for the scope of the disaster to come into focus in Mozambique, which has a poor communication and transportation network and a corrupt and inefficient bureaucracy. Nyusi, who cut short a visit to neighboring Swaziland over the weekend because of the disaster, spoke after flying by helicopter over Beira and the rural Manica and Sofala provinces, where he reported widespread devastation. The scale of the damage in Beira is "massive and horrifying," said Jamie LeSueur, who led a Red Cross team that had to assess the damage by helicopter because of the flooded-out roads.